How committed are we? It is a haunting question. Peter declared that he would die for Jesus but soon enough, he would not even admit that he knew the Lord (Luke 22:57). What would be our responses in the same situation? Would we act the same as Peter, just to save ourselves from sneers, rejection, persecution, imprisonment, or death? Indeed, we are in that situation every day. 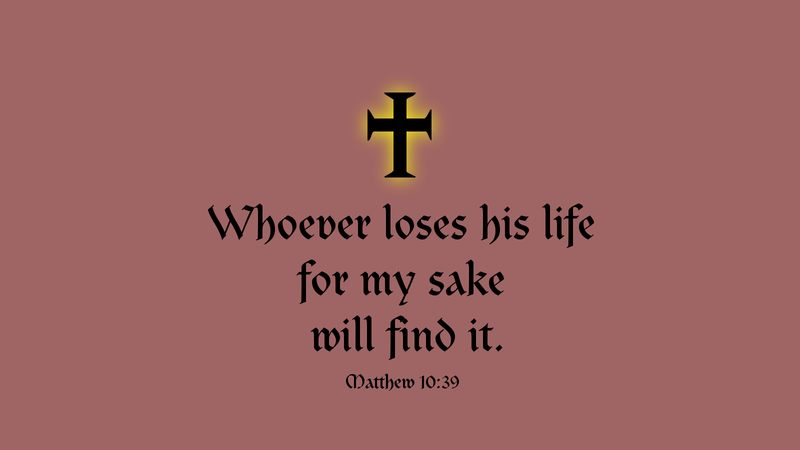 Jesus said that each of us must pick up his own cross and follow him. We must follow him even at the threat of death (which the cross represents). This is radical. This means that we must be willing to be his disciples even if culture threatens, even if it causes family strife, even if it costs us our jobs, even if it means our deaths. So, kneel down; feel the weight of it laid across your back. For there is always a cross for his disciples to bear; as there was for Peter, there is for you. That cross is a public thing, as every crucifixion is, so bear your cross through the streets of life, knowing that you are daily dying with Christ (1 Cor 15:31). The Lord himself will help you bear it into a new life. Prayer: Thank you, Lord, for already having baptized me into your death through baptism. Amen. What beautiful and well written devotional.